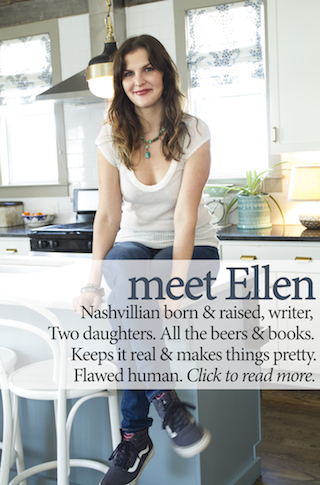 There's this one sweater of hers that struck me as a possible easy DIY. It's called the Safety Joe Pocket Sweater. It's sold out on her site now, but it was priced at $295. I made this out of two gorgeous sweaters I picked up at the thrift store. 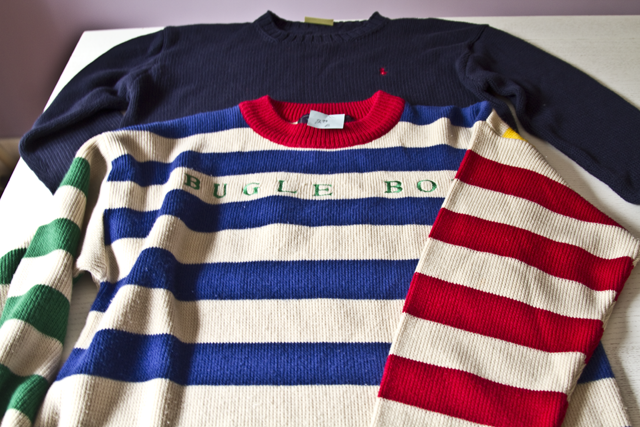 I know, I was especially bummed to cut up the Bugle Boy one. 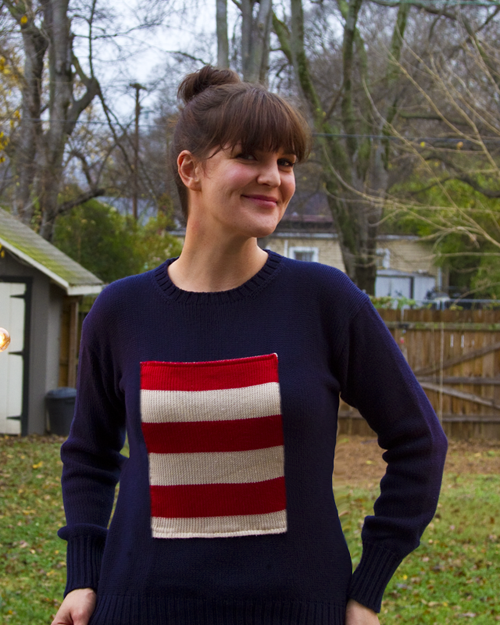 I cut off the sleeve of the striped sweater (OBVIOUSLY), sliced it at the seam, lay it flat, ironed it, measured it, remeasured it, stretched it, remeasured it, cut it some more, hemmed the top and bottom, used some steam-a-seam to keep it in place and then stitched it onto the sweater by hand. 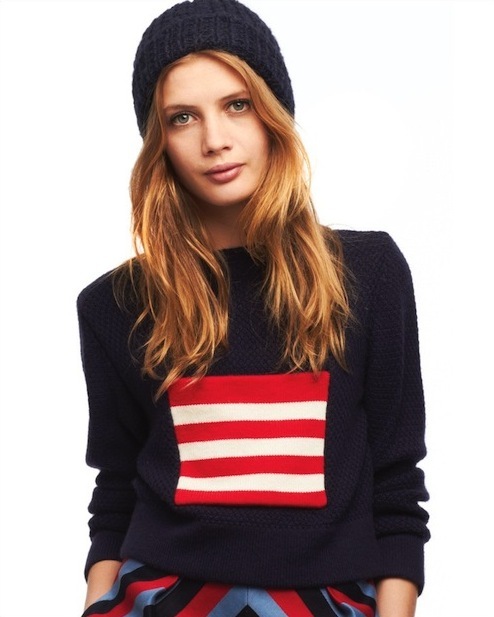 I also took in the sleeves and sides of the navy sweater so it fit better. Nekos came home and said it looks like a Tommy Hilfiger sweater. Not really what I was going for, but whatevs. 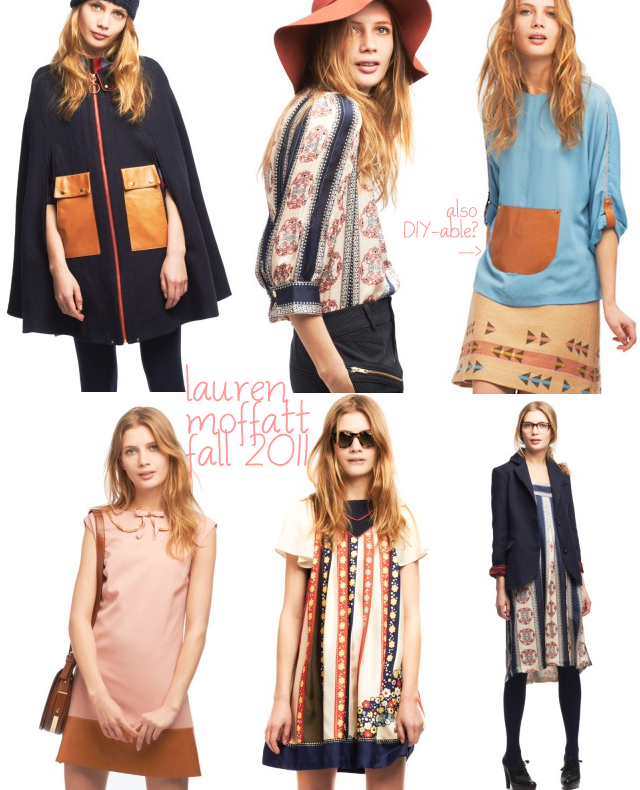 I know it's a Lauren Moffatt knock-off; that's what matters. as always, awesome! and yeah, i love her too.